If you are not getting the sleep that you want these tips for how to sleep better should help! We all need a good night's sleep and learning how to sleep better is important! You may not suffer from insomnia, however you might still feel as if you are not getting the good night's sleep that you would like to be. Do you want to discover how to sleep better at night? I am sure that you are already aware that sleep is linked to many areas of our overall health. These include not only our weight but also levels of stress that we might be experiencing and our general mood. You are perhaps wondering how to sleep better, so in addition to considering the benefits of a sleep better pillow, let's take a look at some tips that will help you do just that. So how can we ensure that we get a good night's sleep? Firstly find out what's right for you! Do you have the right pillow? Is it too soft or even too hard? 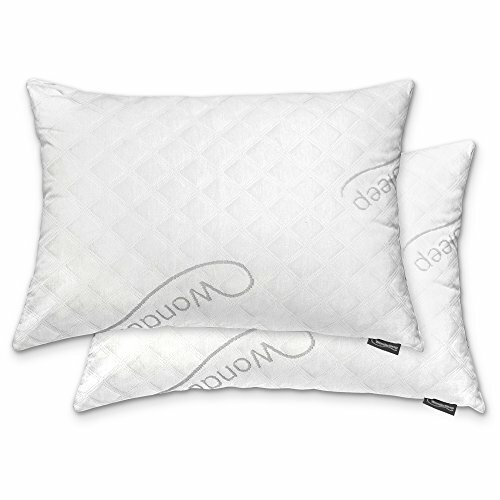 Ensuring that you have a good pillow suited to your needs is critical to getting a good night's sleep. 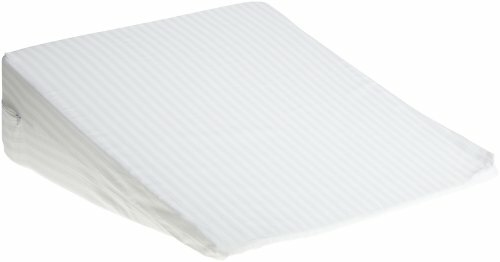 That's why the sleep better pillows that are available are worth looking at and trying. Do you find yourself feeling tired even though you get the same amount of sleep as your partner or friends? Whilst it might be related to the quality of the sleep you are getting, the truth is that different people require different amounts of sleep. Some people may need eight or nine hours sleep every night, whilst others may need just five or six per night. So it's important that you find out what right for you, by experimenting and then ensure that you get the number of hours sleep that you need every night. When you know how many hours sleep you need each night then you need to adjust your schedule to ensure that you are getting the sleep you need. You should aim to go to bed at roughly the same time each day. Equally you should aim to wake up at the same time each morning. Inevitably there are going to be times when you cannot keep precisely to your schedule. However, if most of the time you can stick to a bedtime or sleep schedule, then the less an occasional break in that schedule is going to affect you. Do you find yourself having to get up during the night to go to the toilet? Even if overally you sleep the full number of hours you need, a broken sleep means that you are goint to feel less alert in the morning. You therefore want to try to avoid this by avoiding drinks a few hours before you go to bed. You should also try to avoid drinking caffeinated drinks in the hours before you go to bed, as they will inevitably leave you feeling more alert. You should also avoid eating a heavy meal close to bedtime because it can also affect the quality of your sleep. You should certainly aim to eat your main meal a few hours before bed. I am guilty of this and I am sure many other people are too! Mmany of us find ourselves having a restless night, because we don't let ourselves wind down before bed. It is recommended that we give ourselves an hour before we go to bed to simply relax. So that means turning off all those electronics, eBook Readers, iPads etc and taking the time to relax by having a bath, or reading, or another activity that helps you to relax and unwind. Then when you do go through to the bedroom it's time for the two of you and for sleep! So with the right sleep better pillow, the right number of hours of sleep and ensuring you unwind before you go to bed you should be able to sleep better! Nowadays most of us are always too busy and on the go. If we allow ourselves to get into a routine, enjoy better sleep we are going to find that we will more than likely, more productive during our waking hours! 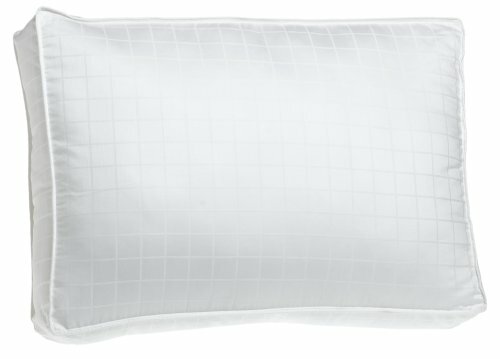 Why Buy A Sleep Better Pillow? Everyone knows the importance of a good night’s rest, but unfortunately not everyone gets one. Some people find themselves tossing and turning every night only to continuously find themselves waking up every hour or so. This then result in tiredness the following day and even though you were in bed for 8 hours the previous night, your total deep sleep probably only accounts for less than half of that time. Sleep Better pillows allow you to sleep better during the night. They’re specially designed to enhance the quality of your sleep while providing your ultimate comfort and support. Below are a few different types of Sleep Better pillows that may just help you to sleep more soundly at night. Surprisingly not everyone knows that there are specially designed pillows out there that can accommodate your entire body and not just your head. 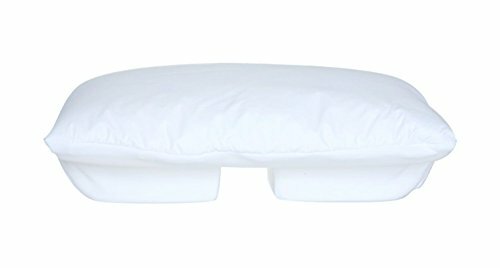 This Beyond Down Gel Fiber Bed Pillow is made from 100% cotton with a 300TC 100% cotton cover. It features doubles needle corded edges and is filled with luxurious micro denier gel fiber for the feel and comfort of 600 fill power pure down. It’s also hypoallergenic so people with asthma and allergies can also sleep soundly with this wonderful body pillow. 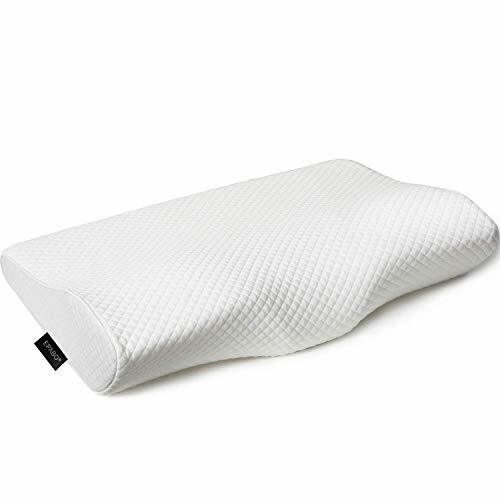 What’s great about this contour pillow from Sleep Better is that it provides ample support for your head and neck which results in a much straighter spine. Combine that with the ventilation of the integrated Active Air Technology which creates optimal airflow for a cooler night’s sleep and you’ll experience the best sleep possible every single night. It’s made from 100% cotton with hypoallergenic foam. It features a 250 TC 100% cotton cover and is virtually odorless. It may look like a block of cheese, but the Bed Wedge Pillow is Sleep Better’s gift to people who have trouble sleeping at night. It’s made from 100% cotton and can be used to elevate the legs during sleep for increased blood circulation and for extra support for the spine and back muscles. The unique design of the Bed Wedge also helps people who have acid reflux by posturing the torso correctly for a position that’ll allow for more efficient digestion. In addition, the multipurpose pillow is perfect for reading a book in bed or watching TV on the floor. How many times have you woken up during the middle of the night because you were hot or sweating? 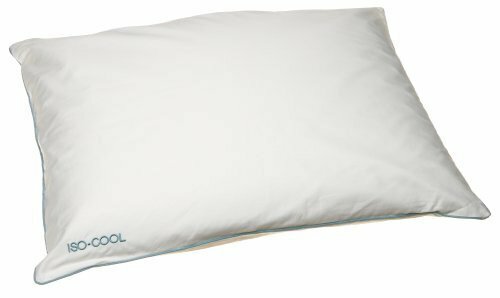 It’s a very uncomfortable feeling to have while you’re trying to sleep which why Sleep Better developed the Iso-Cool memory foam pillow. It’s made from 100% cotton with a 300 TC, hypoallergenic cotton cover. The Iso-Cool features the Outlast Adaptive Comfort material that has microscopic PCM beads that has the ability to absorb heat for a cooler feel as well as release heat for a warmer feel. Visco-elastic memory foam filling inside a plush gusseted design also maximizes sleep quality for side sleepers. For a night of ultimate sleep, get a Sleep Better Slumber Fresh pillow. It features a 400 TC 100% cotton cover with self corded side and is filled with antimicrobial treated polyester fiber that’s comfortable and also hypoallergenic. The fibers inhibit the growth of allergens like mold and mildew which eliminates the possibility of odors for a longer lasting freshness. This pillow comes in three sizes; King, Queen and Standard.